Select from a Deluxe King or Double Queen Room, or one of the 12 Junior King Suites including one Executive Suite. 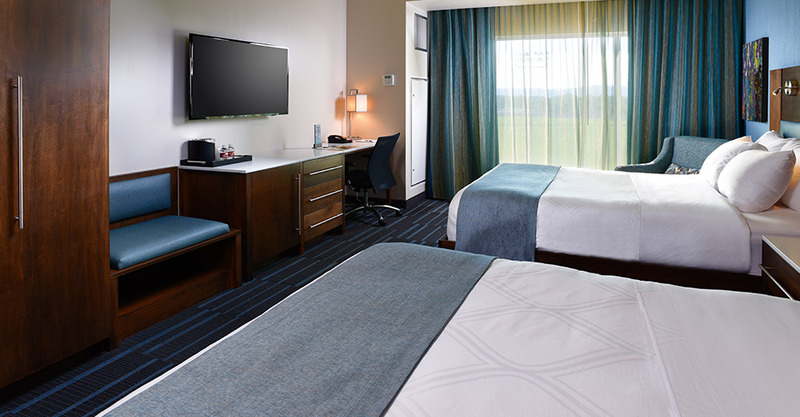 Rooms feature a view of the rolling hills or the gorgeous racetrack with the Susquehanna River in the distance. Stay at the hotel for convenient access to the Casino floor or to rest easy after dancing the night away with one of the live bands at Sideshow Lounge! Our maximum occupancy for rooms with a king bed is three (3) guests. Our maximum occupancy for rooms with two queen beds is four (4) guests. Please note, rollaway beds are only available for Deluxe King Bedrooms, Junior Suite and Executive Suite. Rollaway beds are an additional charge of $25.00 each per day, per room. We do have ADA rooms available with roll in shower, please call for availablility. Spacious 450 sq. ft. featuring one king sized bed and panoramic views of the Tioga Downs Casino Resort Race Track or the rolling hills. Spacious 450 sq. 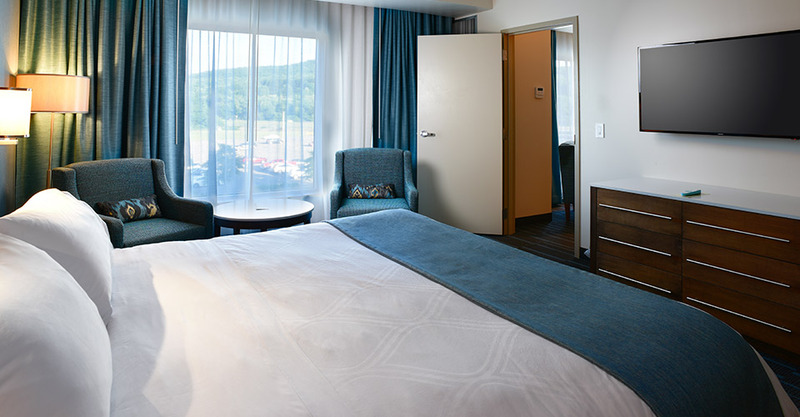 ft. featuring two queen sized beds and panoramic views of the Tioga Downs Casino Resort Race Track or the rolling hills. Well appointed, oversized and spacious, our 775 sq. ft. suite features a separate bedroom with one king bed, a private living area and an ensuite with a soaking tub. Panoramic views of the rolling hills and located on the Casino level for easy access to the restaurants and fun entertainment. Spacious 750 sq. ft. suite with extended living areas, separate bedroom with one king sized bed overlooking a panoramic view of the Tioga Downs Casino Resort Racetrack or the rolling hills. Spacious 750 sq. 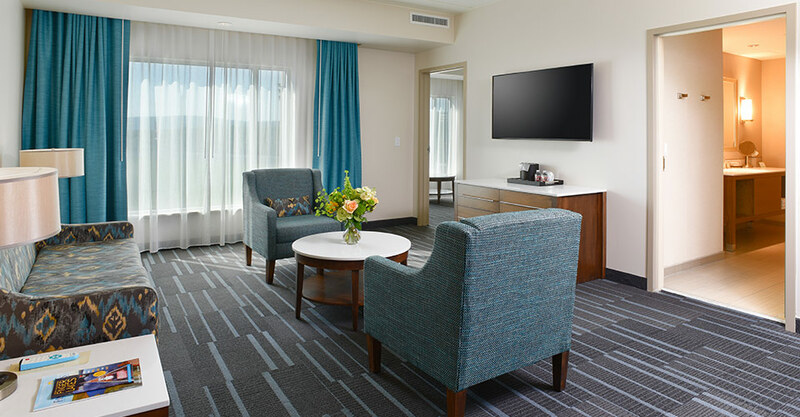 ft. suite with extended living areas, separate bedroom with two queen sized beds overlooking a panoramic view of the Tioga Downs Casino Resort Racetrack.